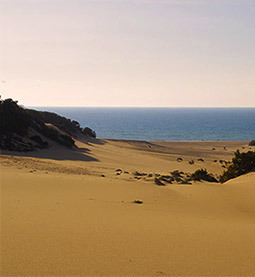 During your holiday in Arbus, as you enjoy the area’s splendid beaches and learn something of its history, you will come to understand that Sardinia has managed to preserve some well-defined aspects of its traditional – simple and uncomplicated – cuisine, with unusual tastes and flavours. The pastoral traditions of the area and indeed of the whole of the island have produced a surprising variety of typical products and dishes. The sheep’s milk and goat’s milk cheeses are of excellent quality thanks to the uncontaminated pasture-lands, the mild climate with scents of the Mediterranean and the production system still based on artisan skills. 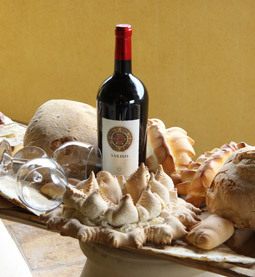 But Sardinia offers other delicious food too – don’t miss tasting its excellent meat and fish, its vegetables, cakes and pastries and of course its wine! We’re sure you won’t remember your vacation in Sardinia just for its beaches since we plan to introduce you to some of the best restaurants in southern Sardinia, all within easy reach of the Bed and Breakfast Il Quinto Moro.